I’ve been working with Gunvault Gun safes for well over 20yrs, there have been design changes, improvements and even corporate changes. There are several other brands out there but they may not be best for accessing a firearm quickly. From my personal experience, there isn’t much of a need to keep a gun in a bedroom that isn’t locked up. My biggest concern with bedside guns is, what if you aren’t in the house? The bedroom is the first place the bad guys go for jewelry and other valuables, not leaving a gun around is a good thing. Recently we have had several seminars in our store about Concealed Carry, people need to know that there are some places you can’t carry a firearm and you might have to lock your gun up in your car. You also need to know how easy it is to break a window and grab that firearm that is stuffed under your seat. The Gunvault gun safe that is a good fit as a car safe is the Gunvault Nanovault. They are in the $40 price range and you can use the wire cord to wrap around a car seat and through the safe to secure it. Illegal guns end up on the streets through Straw Purchases or theft, so don’t make it easy for the bad guys. Many people are still finding out how easy it is to “build” their own AR15 configurations. With the political changes in Washington DC, the firearm industry is in a full reset. Many in this industry had a free ride with the previous Administration pushing a political agenda which artificially drove up gun sales. I’d have to say that in 2018, I expect that atleast 50% of firearms sales are going to be done online, and those sales are going to increase. People are very particular about what they want, the sights, the handguards, the triggers, the grips, that you can just find an FFL to do the transfer and get exactly what you want instead of expecting to have a gun store already have it in stock. Many People still buy their AR15 Complete Upper Receivers and don’t build them. They buy the complete upper with the handguard they want, and sometimes the sights. There are always changes being made, from MOE stocks to Keymod and M-Lok. There recently has been a trend back to quad rails because people are finding out that you don’t have to worry about your rail design becoming discontinued. Quad Rails will always be around. Many of the AR15 Complete Upper Receivers we sell will come with fixed sights, Magpul Sights and sometimes Troy Battle Sights. The ever changing optics world has moved people away from iron sights to red dots with magnifiers and now towards variable low powered optics. We still move a lot of Spikes Tactical Complete Upper Receivers, Adams Arms Complete Upper Receivers, LWRCI Complete Upper Receivers and CMMG Complete Upper Receivers. They each have their pros and cons, sometimes its all about price point. Tru-Spec Pants for colder weather, options? Most of this industry is full of 65/35 polyester cotton ripstop. If you didn’t know that, check the labels on your Propper, 5.11, Tru-Spec, Blackhawk and Vertx Pants. You are starting to see other materials being introduced, primarily lycra which gives material a little bit more stretch, many practicing martial arts are finding this to suit them well. 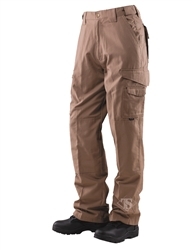 The Tru-Spec Ascent pants and the 5.11 Stryke Pant are two of the more popular styles we see selling. These pants are not going to keep you warm in the winter though. I’ve done enough security gigs where I was reminding myself that on the next shift its time to switch to another material because those 1am-7am shifts can be painfully cold compared to sunny afternoon work. 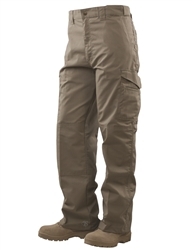 I have to be honest, the Tru-Spec pants that sell the most are the lighter weight products, but if you are use to wearing the 24/7 Series Tactical Pants, there is an all cotton canvas pant with the exact same pocket patters that is available. There is another style they just came out with last year called the Delta, it’s a nice pant but we know that people always have their preferences with pocket patterns. One of the major negatives of the Tru-Spec pants product line is all the variations in hand pocket angles and depths. We’ve seen a lot of people complain that when they try to add to their Tru-Spec pants wardrobe, that there are too many variations of wallet pockets and hand pockets that it’s hard to pocket carry in some of the styles and access to hand pockets can be inhibited if you are wearing a paddle holster. OWB Holsters can also inhibit access to the knife pockets that they design on some of their pants. (Hint) That’s why Blackhawk and 5.11 Tactical and many others, have pockets forward of the hand pockets. It’s a good quality product line but you’re going to have to pick and choose what works for you. There are several product lines we have recently picked up that our customers asked us to start carrying. While we are very cautious about what kinds of inventory we stock, there is something that we really liked about the Rothco outerwear that we really liked. We recently found out about another regional Army Navy store closing down and to be honest, there really isn’t much opportunity to acquire military surplus clothing like there use to be. So many of these stores try to pick up modern military production clothing and the profits aren’t just there. Rothco Jackets like Rothco MA-1 Flight Jacket is only $36 and gets people through most of the fall is a light windbreaker. Everyone has a variation of the M-65 jacket and Rothco is one of them. They do a good job of making vintage military jackets. The only negative we’ve gotten so far is that Rothco could do a better job of putting better quality zippers on their jackets. The Rothco Jackets that we sell the most of are the Soft Shell jackets, there are considerable differences in the weight and tactical or concealed carry applications so do some research into what works best for you. 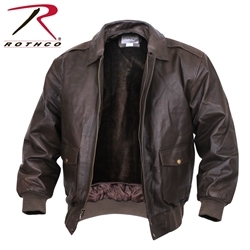 The Rothco A-2 Leather Flight Jacket is an outstanding version but on the much higher price. With all of the options you might consider, Rothco hits at a much more reasonable price point for wear and tear clothing. There is often a debate on whether or not you need a spotting scope or binoculars when hitting the range. The biggest problem with binoculars is that they are not always that stable. If you have a spotting scope on a tri-pod its going to give you more stability which will mean clarity. Sometimes spotting small holes on paper at 500yds is difficult, even with higher magnification. You can always do what I do and just bring a scoped rifle with you and use that for spotting. There are many things that come into play if you want to see things at longer ranges, mirage from heat, humidity, and sun glare can all ruin your ability to see. The real selling point I would have for a Vortex Monocular is that they are smaller, compact and lighter weight. You get a very good field of view of 393 feet at 1000yds for the Vortex Solo R/T Monoculars. Being able to throw these in a molle pouch on your plate carrier or even just clip it on to your plate carrier makes it easier to keep around. 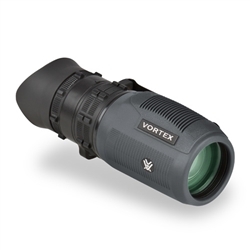 Target identification and range estimation are the main selling points, the second is that most Vortex optics are priced about $100 below what they are worth. Sure you can use these for bird watching or boating, but this is a tactical blog and this is definitely something to consider. There are tons of tactical pants to choose from, but there are not that many we can say are good for everything. We’ve been around long enough to see companies come and go, but as much as we have have our preferences, not everyone will be happy with just one brand. We’ve done a brutal analysis of various tactical clothing companies, from Rothco, Tru-Spec, UnderArmor, 5.11 Tactical and Vertx. Every brand has there own targeted market, but we’ve seen many people tend to lean towards the lower profile clothing because if you can wear it more, you are going to use it more. Sometimes just a chance of color on a style makes the difference in your perceived profile. Tru-Spec makes a quality product and is worth looking into, but they have a few duds from time to time. With how competitive the tactical clothing industry is, price points and quality control is where it is at. My personal preference in the Tru-Spec product line is towards the Tru-Spec (what was the Gunny Signature Series Boot Cut Pant) and is now called the Tru-Spec Mens Tactical Boot Cut Trousers, these have deep hand pockets for pocket carry, and larger knife pockets and makes a great EDC carry pant. I do find that if you are carrying a sidearm on the strong side you might have issues with using the designed knife pockets which is why many other companies move pockets towards the front, like the 5.11 TDU pants and the Propper Kinetic Pants do, I wish Tru-Spec would design things like these but they still have some good stuff. Nylon gear is about quality and mission purposes. We have a very broad customer base that sometimes use the same products, just different colors, something like a Plate Carrier can look SWAT or Tactical in Black, Military in Multicam or Tan, and EMS in Navy or Red for Fireman. The same goes for backpacks and molle gear. We often brag to people about how anesthesiologists and a surgeons use some of the tactical bags were sell and they aren’t even gun people. Sometimes it’s not just about the design of the bag, but the size of the bag. Some of the Tru-Spec backpacks we have been selling like the Gunny Tour of duty bags are pretty nice, but some say they are a little heavy and a little bit of an overkill for their needs. We recently listed their Trek Sling pack and a few others because the price point was very appealing to many of our customers. One thing we don’t sell is low end nylon. I’m not going to name, names, but if you think a $35 backpack is something that is going to hold up, well, you are going to find out after using it. You can over pay for a brand name, but we always like to give people options, the Tru-Spec backpacks are good quality nylon at a reasonable price and very versatile. The Tru-Spec Circadian seems to be the most popular so far, just based on simplicity, design and cost. 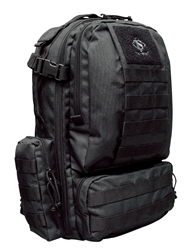 The Signature Gunny Line Tour of Duty packs seem to be for camping or long term deployments. Take a look and see what they have, these are definitely a big step up from some of the other backpacks Tru-Spec has offered. Kimber Pepper Blaster II what’s so different about this? There’s a very short and simple answer I have for you, people often get sticker shock and think “I don’t need to spend almost $40 on pepper spray” but when I explain to them the difference between key chain pepper sprays and a Kimber Pepper Blaster, well, put each one in your pocket or purse, then pull it out and point it at your threat, they realize that they did not know which directly the keychain pepper sprays were pointing until they looked at it. A handgun is suppose to be an extension of your hand, it should be easy to point, a bottle or cylinder shaped object is NOT easy to point. I’ve also been around enough deployments of pepper spray to know how sloppy they can be, and often there is blow back. There are levels of self-defense, sometimes a flashlight can do the job, verbal defense, less lethal, and lethal. For civilians, I highly recommend something like the Kimber Pepper Blaster II over any stun gun. Lots of women come in our store looking for stun guns, but we recommend those for Father’s to give to daughters on Prom Nights or for College Dating, training with a weapon that you have to get up close and personal with is more of a liability than something that shoots 112 MPH and I can attest that they can shoot 13ft. It gives you more of a splatter than a stream, which also makes it much easier to hit your target. Also the velocity of the Pepper Blaster makes it hard to dodge. The shelf live of these is 5 years and spending less than $80 for 10yrs of less lethal defense is not expensive. I also highly recommend these has something anyone with a CCW should ALSO carry. 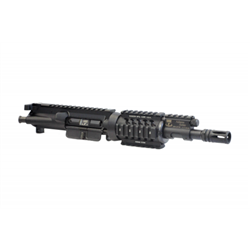 There are plenty of deals on Adams Arms Complete Upper Receivers right now, we recently got in some of the 5.45×39 upper receivers and Adams is probable the only 5.45×39 AR15 Upper Receiver we could recommend. Years ago LWRCI made them but they did not get great reviews, we have never gotten any negative reviews about the Adams models. One of the main things we noticed in this industry is you have to be good at what you’re doing and not expect that the same designs will always work well with multiple calibers. Russian ammo always runs dirt and DI guns are not a good choice in my opinion for this caliber. 5.45×39 is not made domestically as far as I know, but it is almost ballistically the same as the 5.56 with possible a slight ballistic advantage. Everyone and their dog seems to have the 7.62×39 but 5.45×39 is not as common, especially in an AK variant. 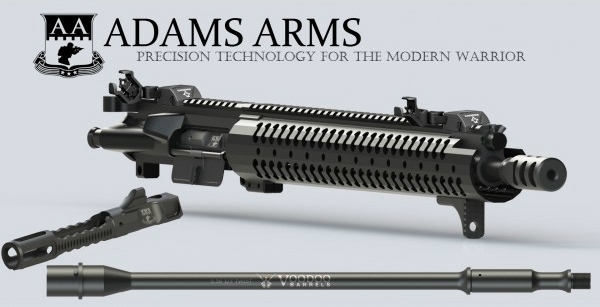 I’ve personally witnessed the advantage of one caliber over the other, but since trying to find a AK74 variant in good condition is not common, the best thing to do is swap out your upper for one of these Adams Complete Upper Receivers chambered in 5.45×39 and shoot the cheap stuff in an AR platform. After several years of working in the Private Security field and dealing with Law Enforcement, one thing we have learned it many people don’t understand how to use their products or gear properly. I’m reminded of a Clint Smith quote in one of of his Rifle Training videos about “not rackin it, and slapping it, Vietnam style” in reference to the proper way to drop a bolt on an AR. Guys come in here thinking you can use molle pouches on a belt and then come in complaining how it’s not working and we’re like “its for a molle vest not a belt” and we get an “oh”. 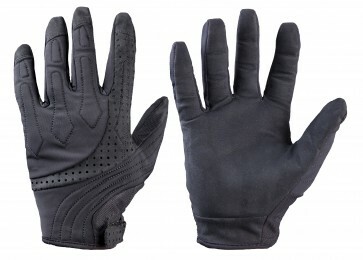 Frisk Gloves are meant for frisking, Turtleskin Gloves are meant for need protection and slash resistance, not shoveling the snow or going to the shooting range. They should have a shelf life much longer than latex gloves, but don’t expect them to last forever, remember body armor usually is expired in 5yrs for a reason.